Now in its second century, the American Lung Association is the leading organization working to save lives by improving lung health and preventing lung disease. With your generous support, the American Lung Association is “Fighting for Air” through research, education and advocacy. For more information about the American Lung Association or to support the work it does, call 1-800-LUNG-USA (1-800-586-4872) or visit Lung.org. When you join the American Lung Association in the fight for healthy lungs and healthy air, you help save lives today and keep America healthy tomorrow. 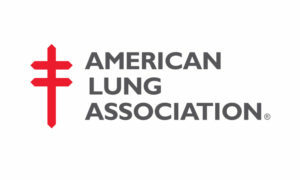 The American Lung Association is the oldest voluntary health organization in the United States, with a National Office and constituent and affiliate associations around the country. Founded in 1904 to fight tuberculosis, the American Lung Association today fights lung disease in all its forms, with special emphasis on asthma, tobacco control and environmental health. The American Lung Association is funded by contributions from the public, along with gifts and grants from corporations, foundations and government agencies. The American Lung Association achieves its many successes through the work of thousands of committed volunteers and staff. The American Lung Association informs and educates the public about the impact and prevention of lung disease in a variety of ways. This information is disseminated through many channels, including our web site, public service announcements, news releases and conferences, and spokespersons who can address lung disease issues via print, broadcast and electronic media. To reach your local American Lung Association, call 1-800-LUNG-USA (1-800-586-4872).